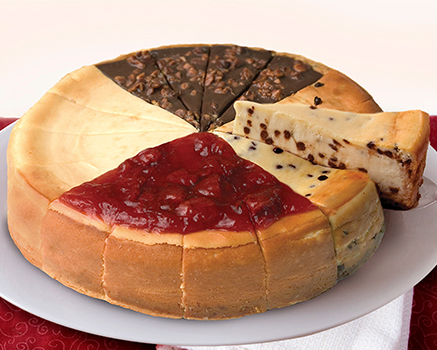 CREATE YOUR OWN CUSTOM CHEESECAKE! Simply select either Eli's Original Plain or Chocolate Chip Cheesecake, add your choice of topping and candies, your custom message and ta da, you've created your very own Eli's C-Cake! It will arrive in 5-7 business days. Custom c-cakes are made to order by an Eli's pastry chef and require an additional 5-7 business days to arrive. Eli's Desserts are perishable and shipped frozen, packaged with dry ice in a heavy-duty Styrofoam container so each arrives picture perfect. Shipping cost is $16.95. Please call for delivery and service to Hawaii and Alaska (800) ELI-CAKE.